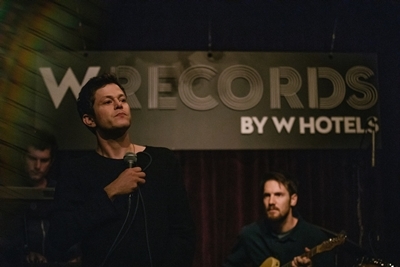 W Hotels Worldwide announced last week that the second phase of their newest music initiative, W Records, would feature Matador recording artist, Perfume Genius. Now track two and the accompanying music video with the rising star is available everywhere. “Not For Me,” is Perfume Genius’ cover of an emotional Bobby Darin song. The music video serves as Perfume Genius lead-singer Mike Hadreas’ directorial debut. “It was very easy to see the visual world this song lives in,” said Hadreas. “I could feel it even in the beginning of putting the music together. I imagined something warm and painterly but wrapped in alien gauze. Directing the video myself brought the song closer to my heart.” “Not for Me,” follows last week’s release of the single “Alan (rework).” Both tracks are now available everywhere.